Although keeping up with the Joneses is an age-old temptation, you can learn some new things about maintaining your home from those perfect neighbors. 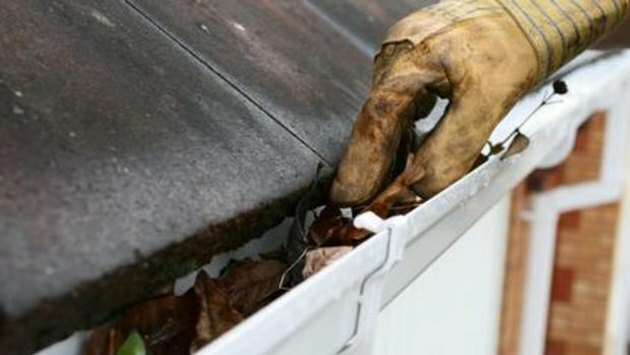 There are a lot of things homeowners need to keep tabs on to achieve upkeep perfection, but gutter maintenance is a big one. Think of your home as you think of your car: Even if you don't have the newest model, how you treat it matters. "People are really looking at their homes," said Danny Lipford, a Mobile, Alabama-based home improvement expert who hosts nationally syndicated weekly television and radio shows. "They're staying home more often and looking for ways to make an impact, both in how their homes look and in how they function." And it turns out that some of the best things you can do for your home aesthetically during fall will prepare it for the winter months. The payoff to making even the simplest repairs and spruce-ups before the weather brings snow and ice is a more efficient and safe place to live. Take that, Joneses. Probably half of the homes in this country have leaves in the gutters right now. By the time you find out the problems caused by this, it's already done its damage. "Every season gives you the opportunity to make home updates," said home improvement guru Bob Vila. "If you don't take care of your maintenance in the fall, you'll discover a crisis in the winter that you hadn't bargained on." First up: those gutters lining your house. Nothing shows a lack of pride in your home like sagging gutters stuffed with leaves. "Common sense will tell you that you don't want leaves sitting around close to your house," Vila said. It not only looks bad, he says, but it's also potentially harmful. Those leaves hold water that could be penetrating your home, causing algae growth, inviting bugs and damaging your soffits. "Probably half of the homes in this country have leaves in the gutters right now," Lipford said. "By the time you find out the problems caused by this, it's already done its damage." Lipford recommends removing the leaves and debris from the gutters, as well as cleaning out the downspouts so water can drain properly. To avoid sticking your (glove-covered) hand down that spout, he recommends fashioning a scoop made by cutting down an antifreeze jug or other plastic container. While you're walking your home's perimeter, also check for peeling or chipped paint that you can touch up. Examine your roof for any missing or loose shingles by stepping away from the house and using binoculars. Experts also recommend readying your fireplace by checking the flume and scheduling a visit from a chimney sweep. Also schedule a service call for your heating and air conditioning unit to have it cleaned and calibrated. "The closer you get to that first cold day, the longer you'll have to wait on a technician," Lipford said. Keep trees and shrubs trimmed and away from the house. 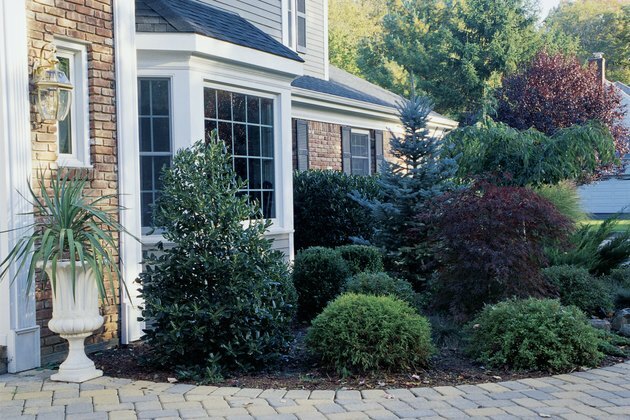 Turning an eye toward landscaping is a simple way to make your home look better almost immediately. "If you don't pay attention to your lawn, garden and foliage, it will show," Vila said. "Fall is the time to prune, clean up trees, plant bulbs and perennial flowers and get your turf ready for the long winter months." Properly trimming trees and shrubs accomplishes more than nicely framing your home: It prevents invasions by mildew and insects. Removing broken or overgrown limbs also ensures that ice-covered or snow-laden branches will not fall on your home. Lipford suggests a 12-inch clearance separating your house from trees and shrubs. "You need air space between the tree and the house," he said. Fall also is about sealing up cracks and crevices outdoors so that water and air don't penetrate. Check out your driveway, especially the area where it meets the garage, for cracks that need to be sealed. Wrap exposed pipes to protect water lines. And make a final pass at the exterior to ensure it is as clean as possible before you start stringing those holiday lights. Power washing your home can remove dirt and cobwebs, blast any last debris from under the gutters, make windows gleam and return the color to bricks. Vila suggests that fall is the perfect time for a home energy audit, which you can do yourself. A professional energy auditor, however, can recommend the most cost-effective measures to improve comfort and efficiency. The U.S. Department of Energy includes tips for either method of assessment at its web site, energysavers.gov. Consider ways to improve your home's energy efficiency during the fall months when you're already saving money because the heating and cooling unit isn't working as hard. Make sure the water heater is wrapped with a sweater of foam so it operates most efficiently, Lipford advises. Look for any cracks or gaps where air could be escaping: HVAC lines, doors, windows or electrical outlets. Apply caulking or weather stripping to any of these areas. "Anything within in the home envelope is suspect to air leaking," Lipford said. "These are things that we say year after year. But just do a few of them. You'll get ahead of the calendar, improve your home and save some money." And any cash that you bank this fall gives you more to spend next spring when it's time to stain that deck or paint the house — just so the Joneses don't get ahead of you. Installing insulation can save big money on utility costs. One way to make a big change in your home's comfort and in your heating and cooling bills is to consider its insulation. According to the U.S. Department of Energy, attics are among the easiest ares to insulate. "Summer or winter, the best thing you can do for your home is to make sure that you have adequate insulation," home improvement expert Danny Lipford said. "One roll saves money. It's not as if you have to do it all to have an impact." He cautioned that homeowners should use unfaced insulation when adding to existing insulation. Because most insulation does not stop air flow, also check for air leaks and seal your attic access, he recommends. If your attic has a pull-down ladder, use weather stripping or another sealing device around the edges of the staircase to keep warm air from escaping upward or letting cold air back down into the garage or house. One method involves the use of a tent made of fabric or another flexible material and placed in the attic. It is attached to the framing around the stairway entry. Homeowners may unzip or untape the tent to gain access into the attic from the staircase. You may purchase the device or make your own. Lipford constructs a model using foam and secures it with metal foil tape. Based in Arlington, Texas, Laurie Fox began writing professionally in 1991 as a staff writer for "The Dallas Morning News." She has written about topics including news, features and lifestyles. Now a freelancer, clients include Reuters news service, newspapers and local magazines. Fox holds a Bachelor of Arts in journalism from the University of Texas at Arlington.